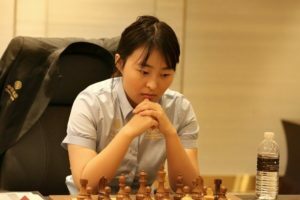 Ju Wenjun beat Tan Zhongyi once again in game five and is leading the women’s world championship with a two-point margin. The fifth game, played on Wednesday, was the last in the InterContinental Hotel Jing’an in central Shanghai, the city where Ju is from. She made good use of her home advantage and leads 3.5-1.5.